This gorgeous first-year Ford Mustang was stolen from a garage in Los Angeles on Friday, and the owner wants to know what happened to their pride and joy weekend ride. 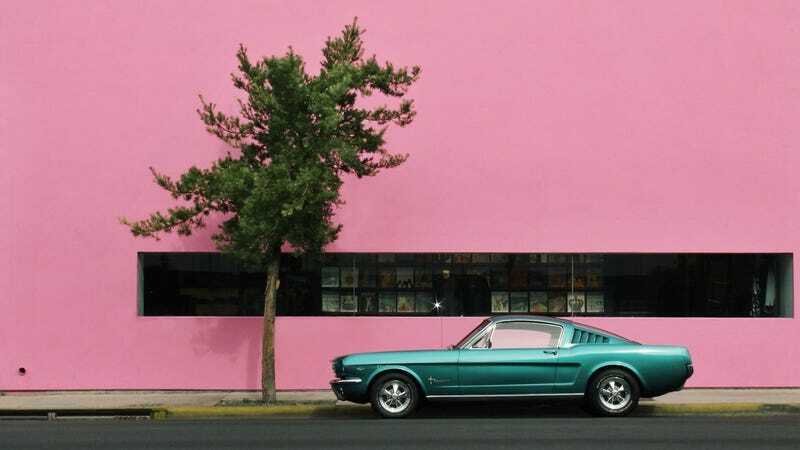 This is a minty four-owner fastback pony car, and they’re rightly freaking out about the car having gone missing. The police report has been filed, but a detective won’t be on the case until Tuesday. Knowing LA, there are so many automobile thefts that it may not get much more than a cursory acknowledgement from the police. Perhaps we can help. The owner provided a list of distinguishing features to be on the lookout for. If you see a 1965 Mustang 2+2 with an A-code 289 engine and an automatic transmission matching this very rare color, check for the Cragar wheels, BF Goodrich tires, and rally sport package dashboard gauges. This is an original air-conditioning car with the stock radio in the dash and a modern head unit in the glove box. For good measure, the license plate number is a California ‘black plate’ with the number PJM 002. The owner says that following some advice from others, they’ve gone full private-eye. In addition to contacting the police, they’ve also gone to other specialized agencies, like Western States Auto Theft Investigators, for example. They’re also canvassing the neighborhood looking for people on their street who may have had security footage of the thief driving away, talking to local shops and car clubs to be on lookout. They’re doing all the right things. If there is one lesson learn here, the best idea is to have a GPS tracker on your classic in case of emergency. If you have any information on this Mustang or its whereabouts, please reach out to us at tips@jalopnik.com.